Just for discussion or illustration - I am not highly confident of any of these counts. Could also be 12345 in progress, which would be more bearish yet. If we are in wave 3 from the high on Sept. 24, then the market should be accelerating downward, and it's really not done that yet. The move down from the Sept. 30 high looks like a textbook 5 waves, but it looks too short to be a third wave, compared to the decline from Sept. 24-25. A very short-term bearish view is that this apparent five-wave structure would be smaller wave 1 of 3. 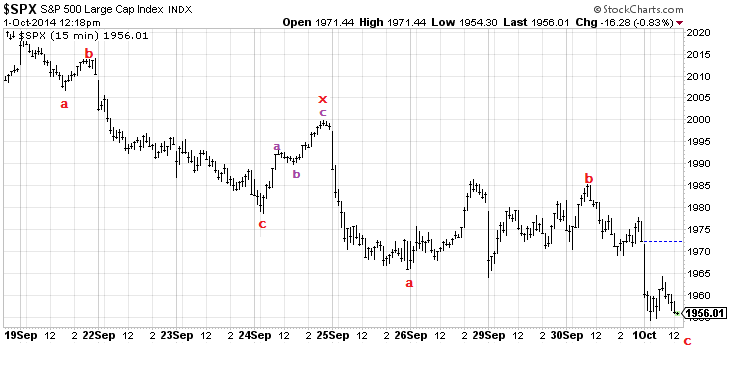 A more bullish view is that we are nearly done with a double zig-zag move down from Sept. 19. 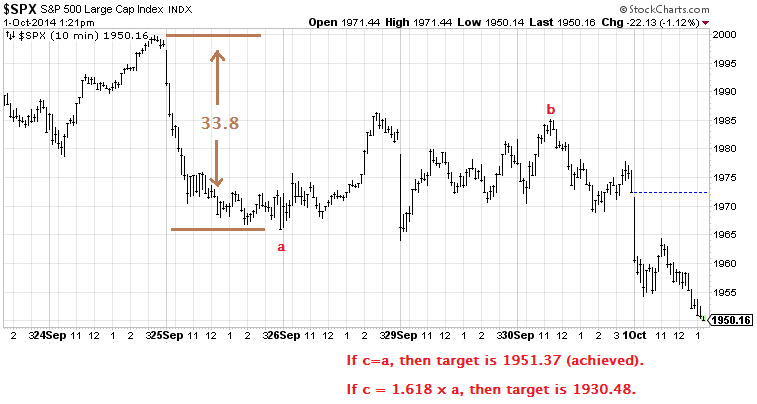 From the Sept. 24 high, if developing wave c equals the length of wave a, then 1951 is targeted.